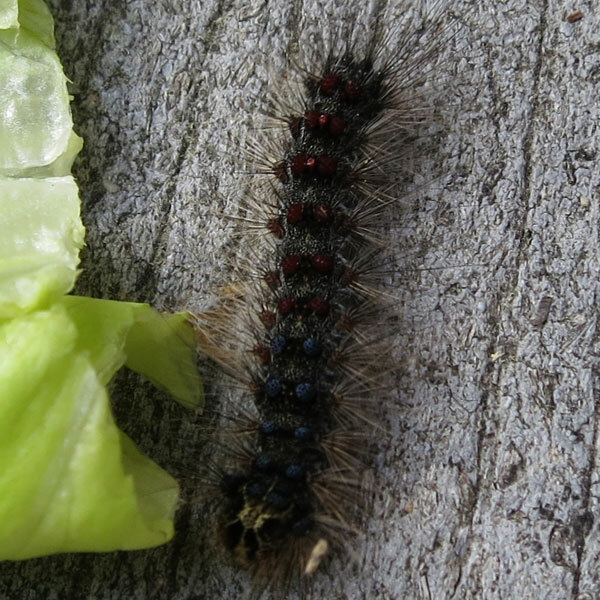 The Gypsy Moth caterpillar certainly has a bad rap! I remember growing up how people were on a quest to eradicate it. It hasn't worked. 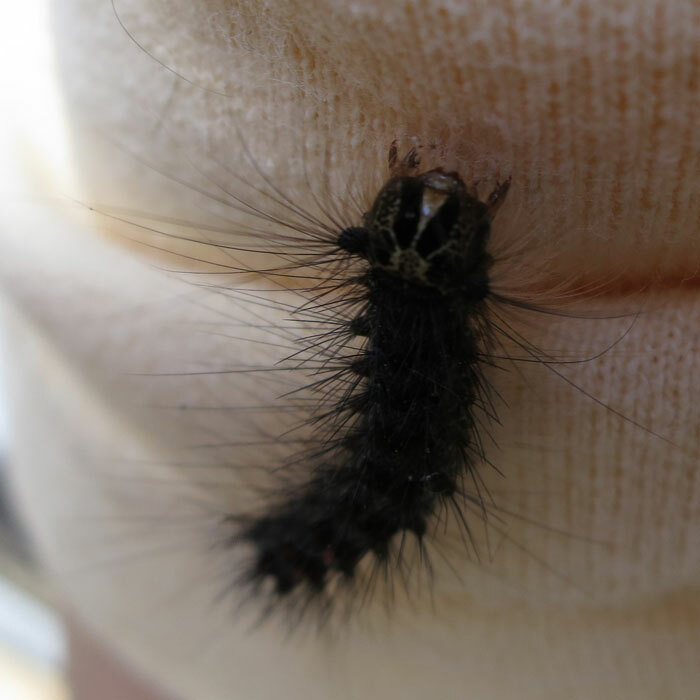 The Lymantria dispar dispar continues to march westward from its initial location in Massachusetts. Yes, we here in Massachusetts (or at least one of us, back in the mid-1800s) was responsible for bringing in this pest. 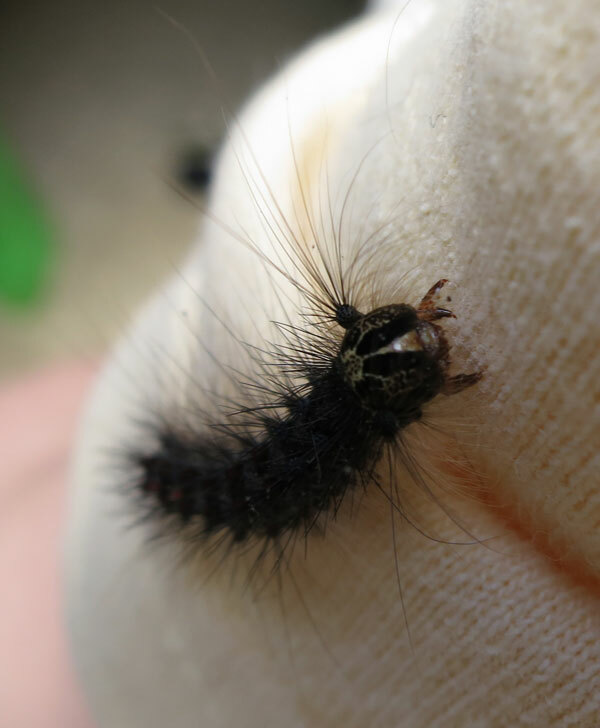 Now it munches away on hardwood trees. 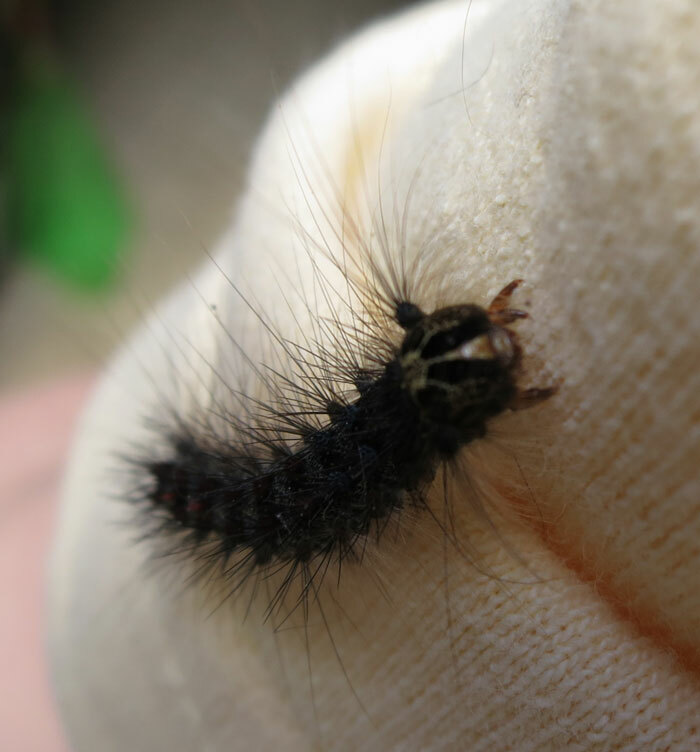 The gypsy moth caterpillar has an interesting design. 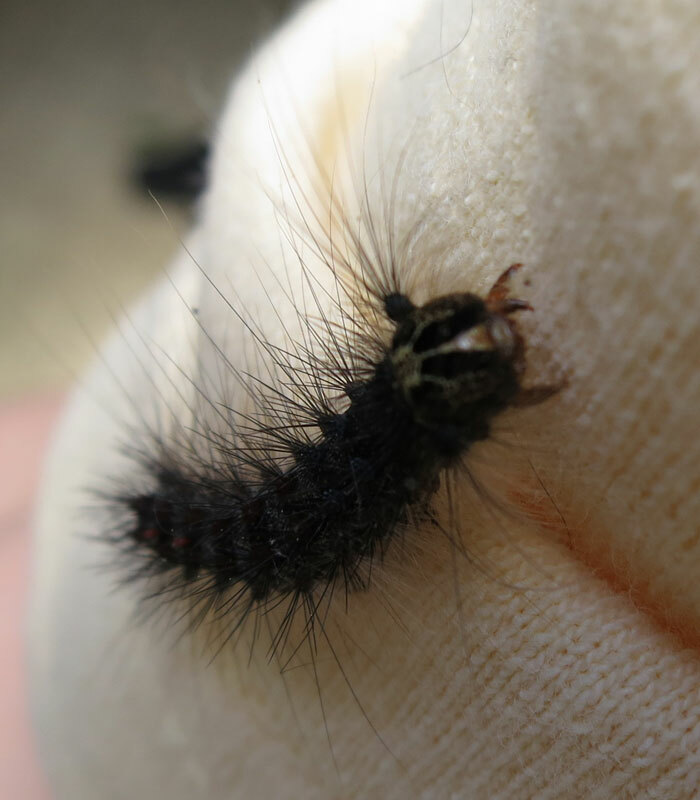 Its body is generally dark, almost black. It has five pairs of royal blue spots down its back, and then six pairs of crimson red spots. 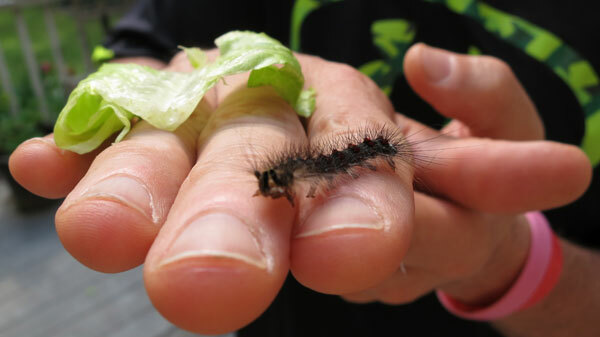 We tried to feed lettuce to our gypsy moth caterpillar, but it wasn't interested. I guess we should have tried with oak leaves. Isn't it cute! I love how it seems to have big, cuddly eyes. A shame it's a pest. These photos were taken in June 2013.